TRENTON, N.J. -- A Mercer County man is accused of sexually assaulting a 4-year-old girl in his care on more than one occasion. 43-year-old Timothy Schlacter of Hamilton Township is charged with two counts of aggravated sexual assault. He is now being held on a $200,000 bond, which was increased to $300,000 on Monday. Authorities say a relative of the victim noticed a change in the girl's behavior, prompting a call to police. Prosecutors explain that investigators spoke with the child and her relative, and both claimed Schlacter had assaulted the young girl multiple times since January. 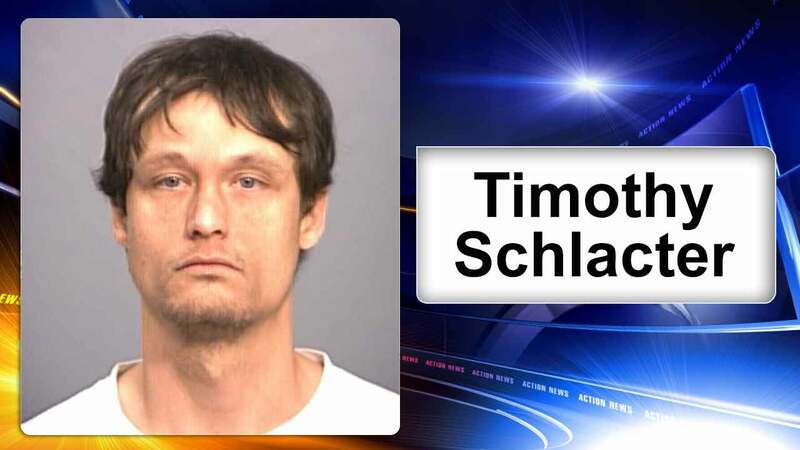 Schlacter was arrested last month at his former workplace, Divine Word Missionaries in Bordentown City. Prosecutors say, just before police arrived, Schlacter allegedly tried to commit suicide. Schlacter denies the accusation and claims he had been in a fight with the girl's mother at the time.